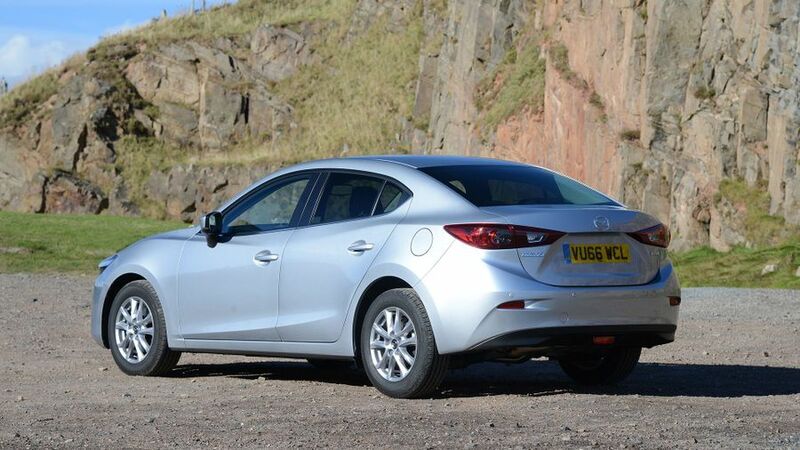 The Mazda 3 Fastback is a light, nimble and fun-to-drive small saloon car that’s based on Mazda’s impressive family hatchback. It looks fantastic, and is economical, too, but not the most practical or refined small car. Small saloon cars are a bit of a rarity these days because buyers have always favoured the humble hatchback. 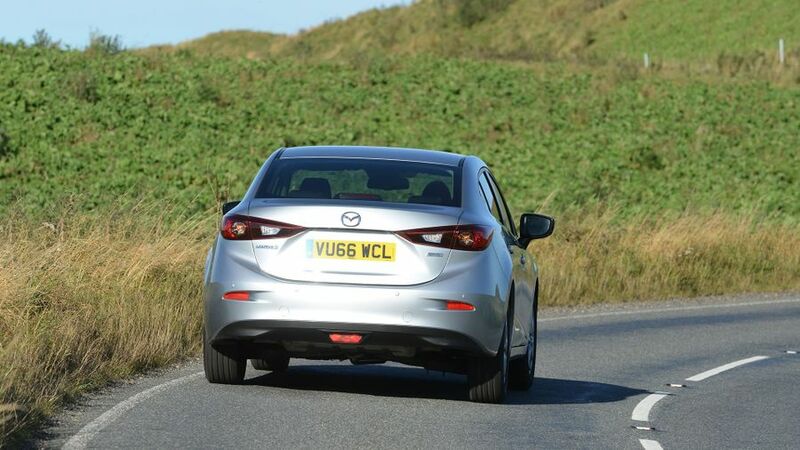 However, if you’re swayable, the Mazda 3 Fastback is a very appealing little car. It looks great – maybe even better than the 3 Hatchback – and it’s fun to drive, high in quality, well equipped and affordable to run. This engine makes the 3 feel really quick, with a massive amount of mid-range shove, and it’s very refined. It’s just not as refined as the bigger diesel, and feels a bit gutless by comparison. That said, this engine does give low emissions that’ll appeal to business users. Interested in buying a Mazda Mazda3? It seems British car buyers don’t have a lot of love for the small saloon car, preferring the hatchback bodystyle instead. 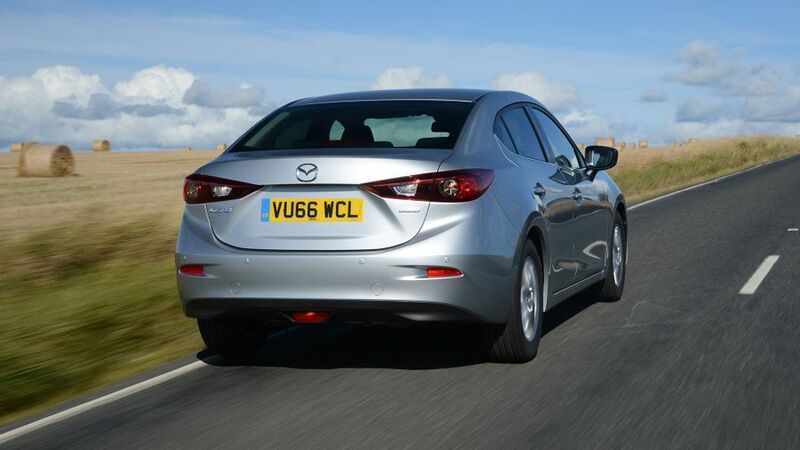 However, looking at the Mazda 3 Fastback, you may well wonder why. It’s an incredibly sharp-looking little car, with crisp details and curvaceous lines, and if anything, the protruding rear end makes the Fastback look even neater than its hatchback sibling. The comparative shortage of demand means many rival manufacturers don’t even bother to offer a small saloon, so the 3 doesn’t have many direct rivals. The SE-L Nav version has LED daytime running lights and alloy wheels, while the Sport Nav models hold the most kerb appeal, with dual chrome exhausts, privacy glass, and 18-inch wheels. The Mazda 3 scores well here, with an excellent driving position mounted low down in the car, and with plenty of scope to accommodate all shapes and sizes. It has a higher quality cabin than you might expect, too. The switches are pleasingly robust and easy to reach, the dash plastics are dense and squidgy, and all the main touch points feel solidly built. It’s not quite as plush as a VW Golf, but a big step up over the Renault Megane or Ford Focus. Every model comes with a 7.0-inch display that’s colourful, bright and easy to use via a combination of pressing the on-screen icons, and a handy scroll wheel that sits on the centre console. The menu layouts take no time at all to learn, and DAB radio, Bluetooth, steering wheel controls and a CD player are all fitted as standard. The only black mark against the interior is with visibility: the front view is superb, but the swooping design and small rear window mean there are a few blind spots. Luckily, all versions come with reversing sensors. One drawback of choosing a saloon over the more conventional hatchback is that it’ll never be as practical. It has a considerably bigger boot than its tailgated sibling at 419 litres (compared with 364 litres), but the space is harder to get at due to the more limited access, and obviously, you can’t keep piling stuff up until you hit the roof. You can drop the seats to extend the loadbay like you can in the hatch, but they don’t lie flat, and the aperture you load items through is small and awkwardly shaped. A high load lip and rear wheelarches that protrude into the space don’t help towards versatility, either, and there are no clever storage solutions for when you’re not stuffing the boot full to bursting. Passenger space is not a problem, though, with decent head- and leg-room for adults in the front and rear. Those travelling in the front will have lots of places to stow loose items, magazines and drinks, but in the back, a pair of small pockets for bottles and one magazine pouch is your lot, and that’s not ideal for longer trips. This is an area in which the 3 hatchback manages to distinguish itself from its rivals, and the good news is that the addition of a boot doesn’t nothing to blunt the experience. It’s that bit more nimble and responsive on a twisty road than your average family car, and as a result, it’s more likely to put a smile on your face if you are a keen driver. The steering is accurate and well weighted, and the slightly firm suspension means tidy body control through tricky corners. That said, the tyres don’t provide as much grip as the nimble feel of the car deserves, so you’ll find your front wheels washing wide earlier than you’d expect. With more powerful versions, you’ll also find it easy to spin up the front wheels mid-corner if you aren’t super-careful with the throttle pedal, and that applies whether the road is wet or dry. The sporty suspension set-up means ride comfort is firm-but-acceptable with most versions, but you’ll find Sport models – with their bigger wheels – will thump more over potholes and ridges. There are three engines to choose from in the Fastback, one petrol and two diesel. The petrol is a 2.0-litre unit with 118bhp, and although it feels nippy enough for most situations, you need to wind it up to maintain your progress, and work the slick manual gearbox regularly. The turbocharged engines found in most other cars this size serve up their power more readily. On the diesel front, the star performer is the 2.2-litre model with 148bhp. 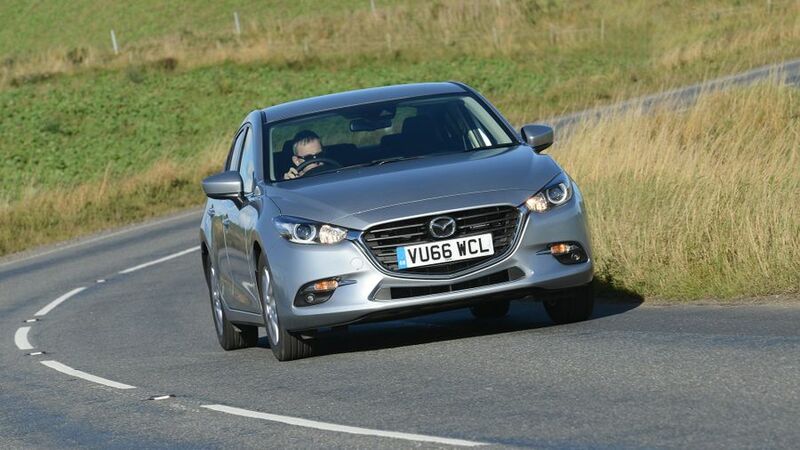 It’s a unit that is shared with the CX-5 SUV and Mazda 6 saloon, and in a smaller car it feels really quick. It has a massive amount of mid-range shove, and like the petrol cars, it’s very refined. The only engine we would avoid is the 1.5-litre diesel with 103bhp. It’s just not as refined as the bigger model, and feels a bit gutless by comparison. The only drawback to having such hushed engines is that road- and wind-noise are more noticeable. Trim-for-trim, the Fastback is priced identically to the 3 Hatchback, and that means it’s very competitive. However, because it’s only available in the two poshest trims the hatchback comes in, starting prices are that much higher. Even so, all the engines are economical given their relative power outputs, and efficient enough to keep your tax bills low. The 1.5-litre diesel might not be the strongest performer, but it is the cheapest to run, with sub-100g/km CO2 emissions that will make it an attractive choice for fleet buyers keen to keep their tax contributions low. The 2.2-litre is not far behind, though, with a figure of just 107g/km and an official fuel economy of over 70mpg in mixed use; seriously impressive stats. It does cost a fair bit more than the smaller diesel engine, and both petrols, but justifies its price tag with an excellent blend of performance and economy. Mazda has an excellent and deserved reputation for mechanical reliability, and for building cars that really last. 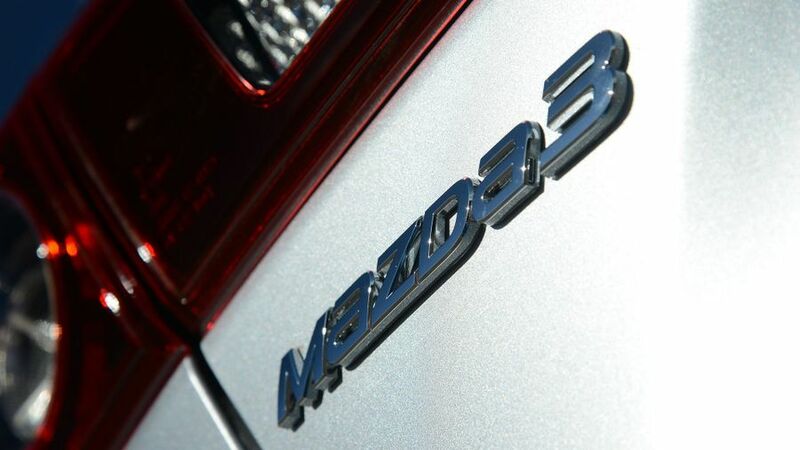 The brand performs well in customer satisfaction surveys consistently as a result, and the previous version of the 3 was known for its durable engines and gearboxes. This model has been around long enough that you should have few worries about it going wrong, and the interior feels like one of the best Mazda has made in years, so hopefully the cabin will also stand the test of time. Mazda provides a three-year/60,000-mile warranty as standard: that’s quite a bit less than you get with the Hyundai i30 or Kia Cee’d, but it is about par for the course compared with most other small cars. The servicing intervals are also fairly regular, so your 3 will require yearly check-ups to change its oil and filters, and check the belts thoroughly. 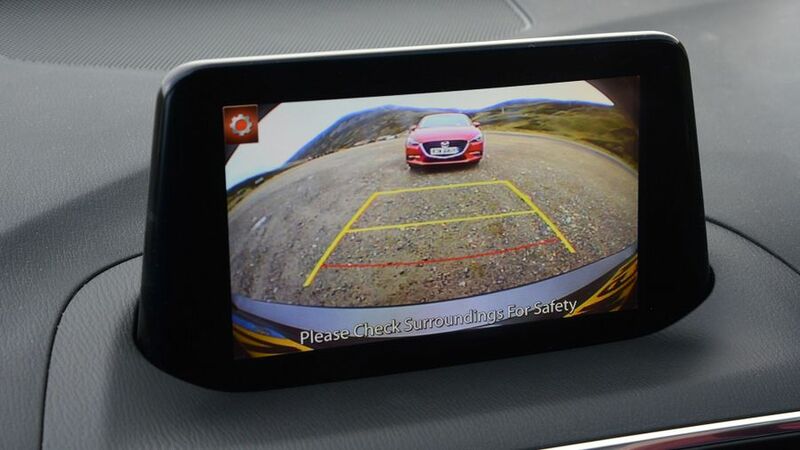 Every version of the Mazda 3 comes with a comprehensive roster of safety aids. As standard you get six airbags, traction and stability controls, and a tyre pressure monitoring system, and that kit helped the hatchback to a five-star rating from crash testing body Euro NCAP. The even better news for Fastback buyers is that each version also comes with a ‘Smart City Brake Support’ system, which helps you to avoid minor shunts in town traffic. It uses a camera to anticipate and intervene if it senses a collision, braking for you if necessary. It’s perfect for stopping the kind of low-speed shunts that occur when you get distracted in congested rush hour traffic. Likewise, the Sport Nav model has an optional safety pack, which includes a colour head-up display, lane departure warning, and adaptive LED lights. That’s great, but it’s only available in conjunction with optional leather upholstery and only on the most expensive trim. Toyota and Nissan, by contrast, offer their safety technologies across the range. The trim grades on offer are simple, with two very well stocked versions to choose from: SE-L Nav and Sport Nav. SE-L Nav includes all the essentials and quite a few luxuries, too, with Bluetooth, alloy wheels, two USB sockets, dual-zone air-con, privacy glass, automatic lights and wipers, cruise control, reversing sensors and a 7.0-inch touch-screen with satellite navigation (obviously). Sport Nav adds 18-inch alloys, which fill the wheel arches far better, as well as a subtle body styling kit, adaptive front lighting, front parking sensors, silver interior trim, a head-up display, and a premium sound system. With family hatchbacks regularly topping sales charts, some will see the Mazda 3 Fastback as an interesting alternative. Others however, won’t. Whichever camp you fall into, the Fastback is a good little car, with handsome looks, impressive quality and an engaging driving experience. If you’re not already sold on a hatchback, give it a look.